To a long time lover of all things Alice, and the owner of way too many tiny tea sets, the thought of a good dolly tea party has a certain appeal. 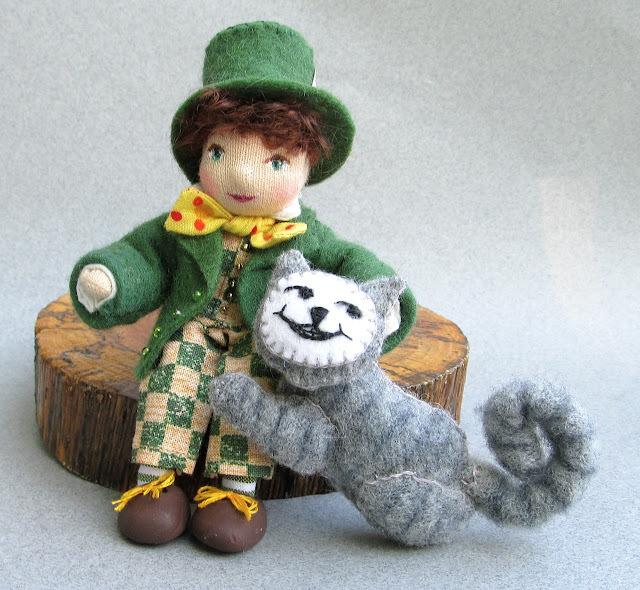 And speaking of tea parties, I just sent these two Alice in Wonderland characters off to their new home in Australia...The Mad Hatter and Cheshire kitty. I think they'll be having some wonderful teas with the Alice doll that already lives there! Cynthia!!! Dear fairy Godmother, I have added your name to our guest list! I'll be there and yes, that is the sweetest Mad Hatter I've ever seen! I love everything you make! So cute!